Called "GO dough," the product might be fun to play with it, but it's more than a toy. The malleable material solves several long-standing—and sometimes explosive—problems in the graphene manufacturing industry. "Currently graphene oxide is stored as dry solids or powders, which are prone to combustion," said Jiaxing Huang, who led the study. "Or they have to be turned into dilute dispersions, which multiply the material's mass by hundreds or thousands." Huang recounted his most recent shipment of 5 kilograms of graphene oxide, which was dispersed in 500 liters of liquid. "It had to be delivered in a truck," he said. "The same amount of graphene oxide in dough form would weigh about 10 kilograms, and I could carry it myself." The research was published today (Jan. 24) in the journal Nature Communications. Huang is a professor of materials science and engineering in Northwestern's McCormick School of Engineering. Huang's team made GO dough by adding an ultra-high concentration of graphene oxide to water. 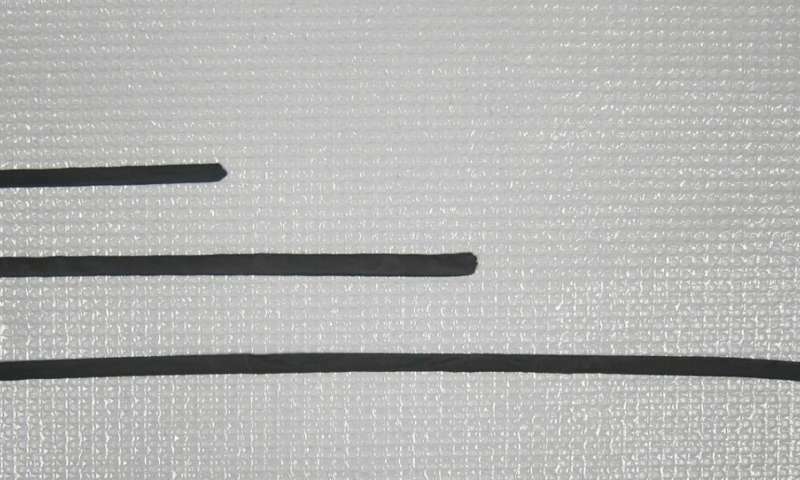 If the team had used binding additives, they would have had to further process the material to remove these additives in order to return graphene oxide to its pure form. "Adding binders such as plastics could turn anything into a dough state," Huang said. "But these additives often significantly alter the material's properties." 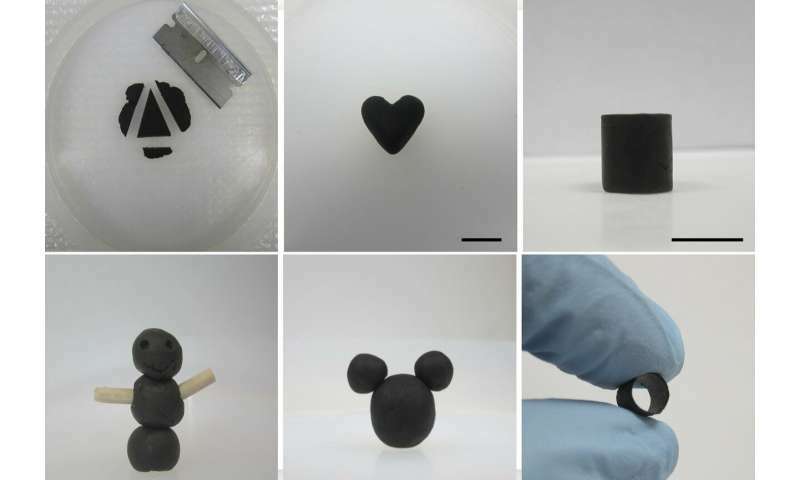 After being shaped into structures, the dough can be converted into dense solids that are electrically conductive, chemically stable and mechanically hard. Or, more water can be added to the dough to transform it into a high-quality GO dispersion on demand. The dough can also be processed further to make bulk graphene oxide and graphene materials of different forms with tunable microstructures. Huang hopes that GO dough's ease of use could help graphene meet its much-anticipated potential as a super material. "My dream is to turn graphene-based sheets into a widely accessible, readily usable engineering material, just like plastic, glass and steel," Huang said. "I hope GO dough can help inspire new uses of graphene-based materials, just like how play dough can inspire young children's imagination and creativity." Graphene Black Lung is going to be pretty bad some day. I hope we can prevent that from happening by taking precautions to not expose ourselves too to much ultra-fine graphene.